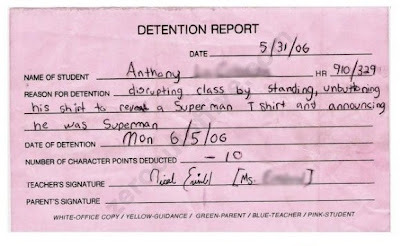 REASON FOR DETENTION: disrupting class by standing, unbuttoning his shirt to reveal a Superman t-shirt and announcing he was Superman. As a teacher, how do you not break out into hysterics when something like this happens? I'm a teacher and I would laugh SO HARD.